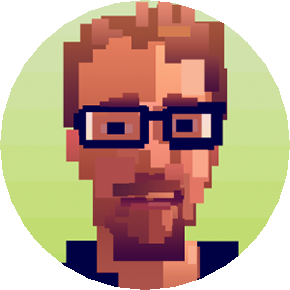 January 2015 – ColePowered Games Ltd.
A good week for development this week. I’ve been finalizing some of the big gameplay tweaks I’ve mentioned in previous updates and I’m pleased to say they offer some pretty big improvements to the gameplay. The game is now much tighter- the deck building is much more manageable, and it no longer feels like your deck size is spiraling out of control. Because you can choose to spend points on character skills, it also means the economy points feel more valuable- which makes decision making more compelling. I’m really pleased with the direction the game is heading in now! There’s still more work to be done on this, I’ve got to add in some more things like multiple column clearance bonuses and finalize character skills. Once I have one character skill set fully working I can really start tuning things properly before fleshing out the others. The versus mode has taken a back seat for now while I implement these changes- it got to a point where it really made sense to do the above before coding the rest of AI, as any changes made after could result in me having to re-design elements of it. Also this week I implemented a ‘card info’ system that I had planned since the start. You can now right click on any card at any time and a pop up will appear to tell you exactly what the card does. You can mouse over stats or text on the card to show these details. It should be a huge help when you’re first starting out in the game, and eliminate confusion around certain aspects of the cards. 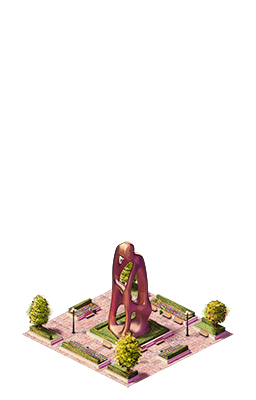 I’ve also got some awesome buildings to show off this week, and with them the 100 buildings milestone has been reached! 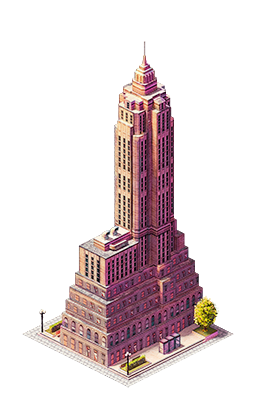 The NYC art deco skyscrapers are proving popular so here’s another! 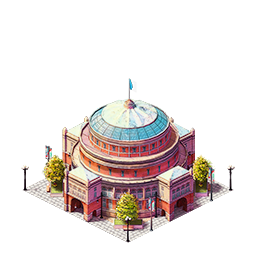 Here we have the game’s Concert Hall. I thought I should balance things out a bit and introduce some more modern architecture too. I’m just calling this one ‘the monolith’. And lastly, a rural building, a humble Farmer’s Market. That week sure went fast! There’s not a lot to report, so I’ll keep it brief. Progress has been steady, I’ve still been working on some design changes that I talked about previously- making the deck building much tighter. I’ve settled on making a lot more ‘one shot’ cards- cards that you use once then they are gone from your deck. 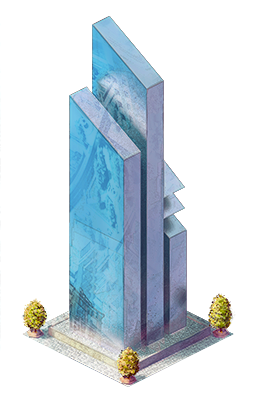 I originally thought that just the very top buildings would fall into this category, but by having many more of them work like this, it allows the game to be much more fluid. 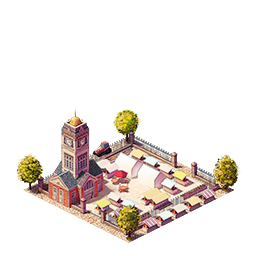 It makes the deck size more manageable which is key, and enables said buildings to be more powerful without upsetting the balance. 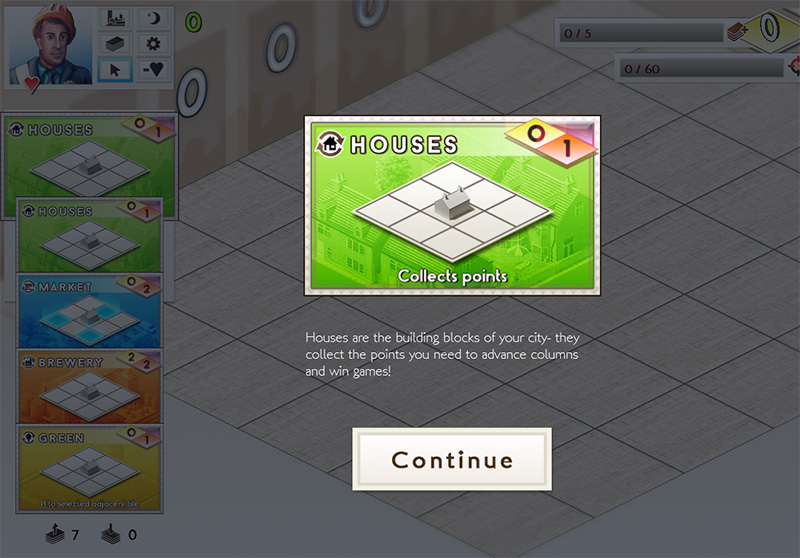 Plus it mixes the game up a lot as you’ll typically get to play with a much greater variety of buildings. 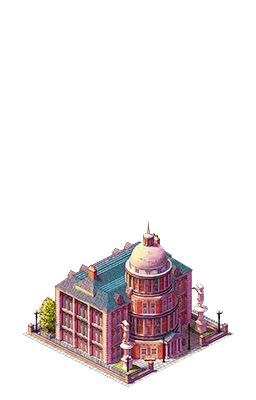 There will still be plenty of ‘cycle-through’ cards too, they will be the ‘bread and butter’ type buildings- dependable and useful but not overpowered. 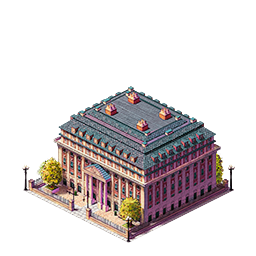 Here’s the week’s new buildings- the count approaching 100 now! 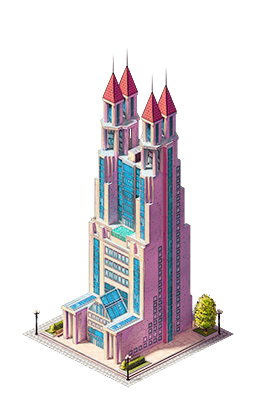 If you’re from Chicago you might recognize the building this is based on.